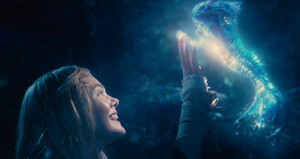 We were big fans of Alice in Wonderland and Oz the Great and Powerful, and now Disney have got a brand new live-action fairy tale film on the way to get excited about! It’s called Maleficent and stars a wicked-looking Angelina Jolie as Disney’s most iconic villain from Sleeping Beauty! Driven by revenge and her desire to protect the moors she rules over, Maleficent cruelly places a curse upon the human king’s newborn daughter, Aurora. However, as the child grows, Maleficent realises that this girl may hold the key to peace in the land and is forced to take drastic actions that will change both worlds forever!